Justin Verlander, George Springer, Chris Sale and Mookie Betts. 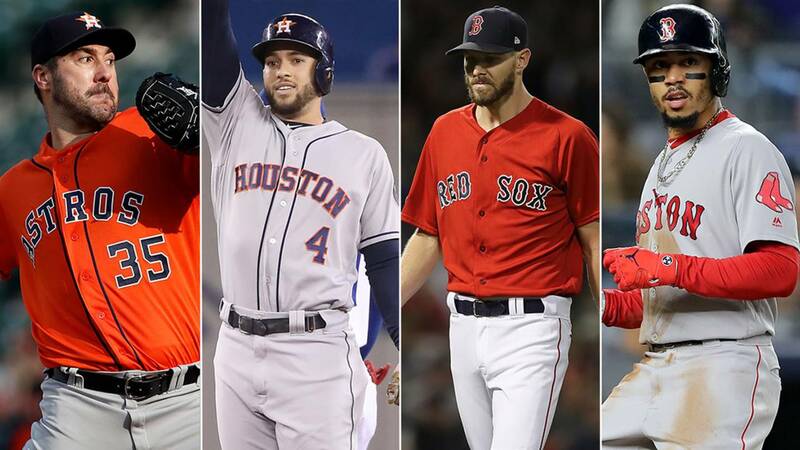 HOUSTON - A position-by-position look at the Houston Astros and Boston Red Sox in the 2018 American League Championship Series. Click or tap on each of the images below to grab the slider in the middle and slide either right or left to see the player's stats. Center Field: George Springer vs Jackie Bradley Jr.